It looks like modified golf carts are soon to become legal for local driving, but limited to 25 MPH. Ready for a mini 5th gen? Move over hybrids; modified golf carts are headed from the fairways to the roadways in Illinois, offering an incongruous yet eco-friendly alternative for those satisfied with more leisurely travel.Dubbed "neighborhood electric vehicles" and retrofitted with safety features, the new category of mini-cars will be street-legal beginning Jan. 1. Operating for pennies per mile, limited to 25 m.p.h. and restricted to local roads, the battery-powered buggies are quietly generating buzz. "Everybody who has seen it goes crazy over it," said former champion racecar driver Morris Clement, 62, who is putting together four muscular prototypes in the fourth bay of his Fastlane lube shop in Gurnee. Neighborhood electric vehicles, or NEVs, were born more than a decade ago in Sun Belt retirement communities and are the antithesis of cutting-edge technology. 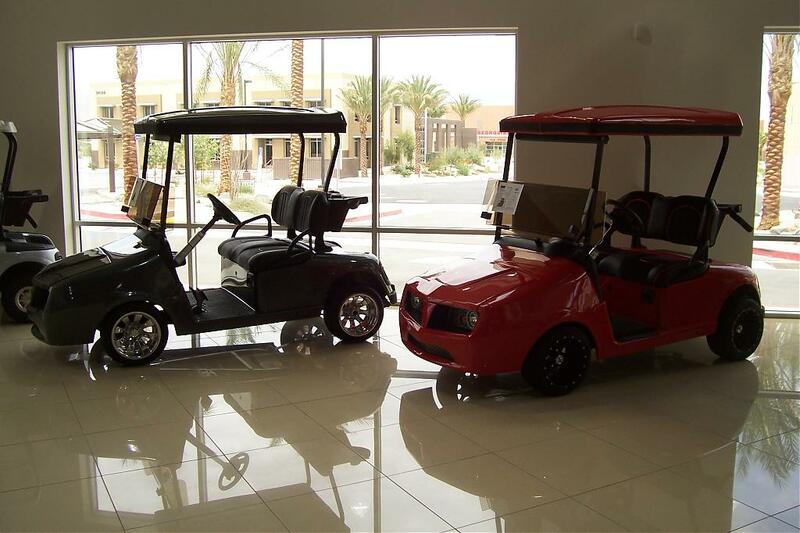 As increasing numbers of seniors plied the streets in golf carts, the federal government stepped in to regulate the vehicles in 1998, imposing minimal safety standards. Mandating a speed of no more than 25 m.p.h., the law added requirements for seat belts, brake lights, headlights, mirrors, turn signals and windshields. Nearly all states permit low-speed vehicles, with a range of restrictions. In Illinois, registered vehicles operated by licensed drivers will be allowed to use roadways with a posted speed limit of 30 m.p.h. or less and may cross streets that have a 45 m.p.h. maximum. Most golf carts have a top speed of less than 15 m.p.h., so require souping up. That opens the door to large manufacturers and custom builders to create a fleet of street-worthy low-speed vehicles. Using a standard golf-cart frame, Clement drew upon his racecar design experience to reinforce the chassis, add independent suspension, large knobby tires and a 20 horsepower AC motor capable of producing speeds of 40 m.p.h. The output will be tuned down to meet the limits for low-speed vehicles, he said. "We have a switch on there for golf cart speed and then you flip the switch and it goes to 30 m.p.h.," Clement said. "It's like a little turbocharger." 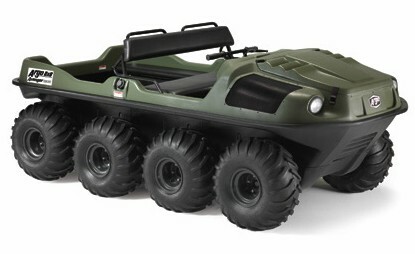 Powered by six 8-volt batteries, the vehicle has a range of 40 miles and can be fully recharged within four hours by plugging an extension cord into any outlet. Clement, who hopes to begin marketing his vehicles in December, will join a growing field of manufacturers, led by Global Electric Motorcars (GEM), a Chrysler-owned company based in North Dakota. With prices ranging from about $8,000 for a basic GEM to $20,000 for Clement's custom-built models, the market share for neighborhood electric vehicles may be limited. "The concept is good," said Ron Cogan, president and founder of the Green Car Institute, a California-based non-profit promoting electric, hybrid and alternative-fuel vehicles. "The challenge is they've never been inexpensive." But things might change when gas prices rise. A driver who logs 12,000 miles a year in a typical neighborhood electric vehicle will save nearly $970 over a 23 m.p.g. car filling up at the current average of $2.60 a gallon. Last summer, when average gas prices peaked at $4.11 a gallon, the annual savings would have been more than $1,650, according to the GEM Web site. check this one out. I had posted it in a forum. I am building one to match my car to promote the business at car shows. I wouldn't want to be sitting in one during an accident. Probably still safer than a motorcycle. There are already people using golf carts in my grandfather's neighborhood. But they're also going like 10mph..max. A turbo, exhaust gasses go into the turbocharger and spin it, with a supercharger, air goes in, witchcraft happens and you go faster. They can't be on streets that are over 35 mph here. And in the city thats about what the speed is everywhere. Pretty funny to see them parked at restuarants. 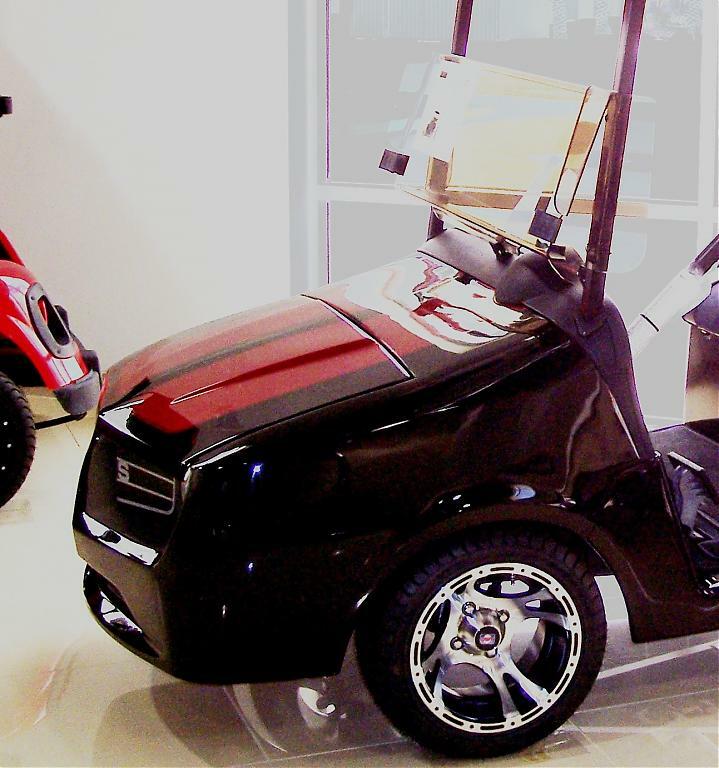 You'll be amazed to see how much people really put into golf carts. Some more than they even have in there own cars!!! I don't see anything wrong with someone jumping on there cart and going down to the pool. Saves gas and all, think its a great idea. This was in a 25mph residential area. Anywho...I saw a golf cart of a 50's Bel Air..the dude was trying to sell it for WAY more than you can get a real Bel Air for. yeah it gets pretty ridiculus. Those should be around 15,000 max depending on what is all done to it. 9,000 is about normal for a cart with a different body. I can't find the ad for it anymore but it was waaaaayyyyyyyyyyy more than that. I have a few neighbors that ride normal golf cars around just in the neighborhood to visit other neighbors or go to the pool.